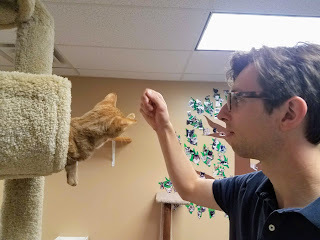 Dave's favorite thing to do when we visit a new city is to find out if they have a cat cafe, as a result we've visited them in Columbus, Pittsburgh, and Amsterdam. 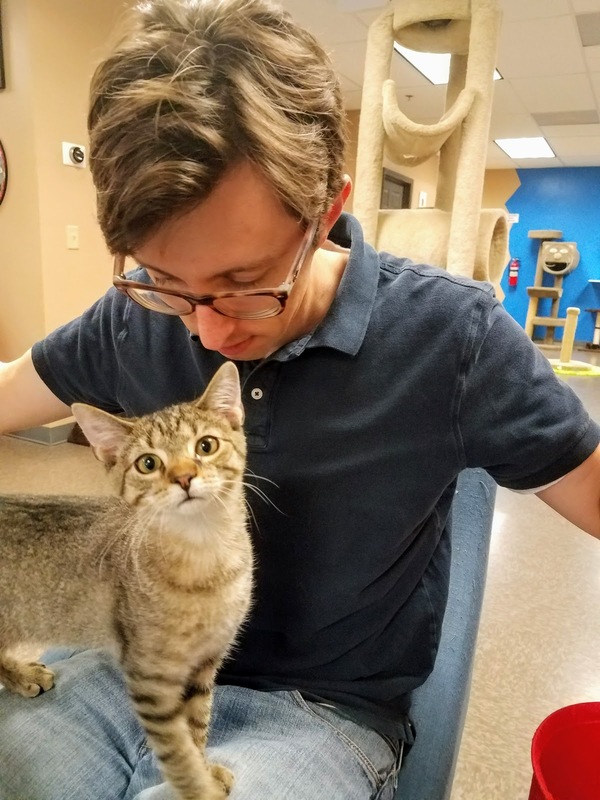 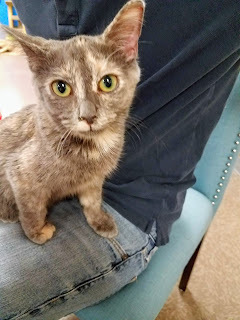 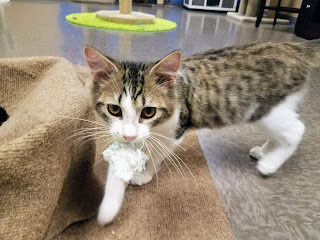 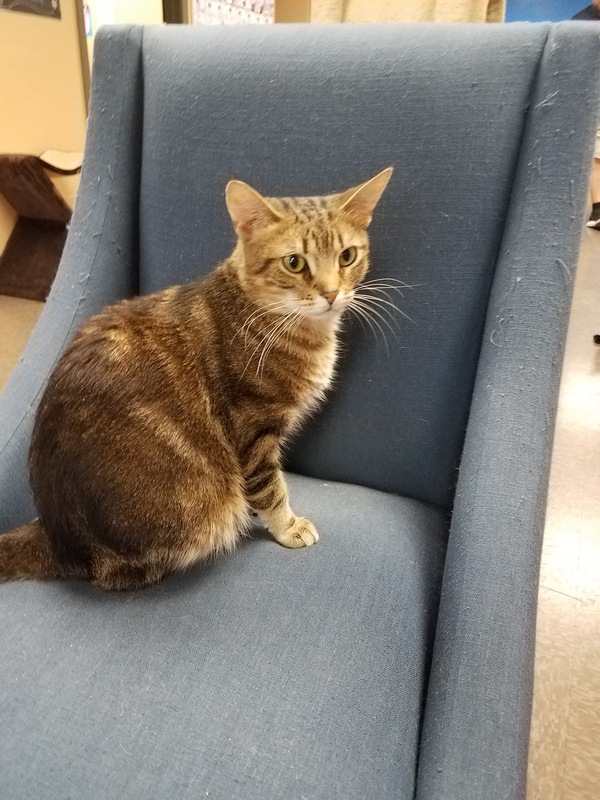 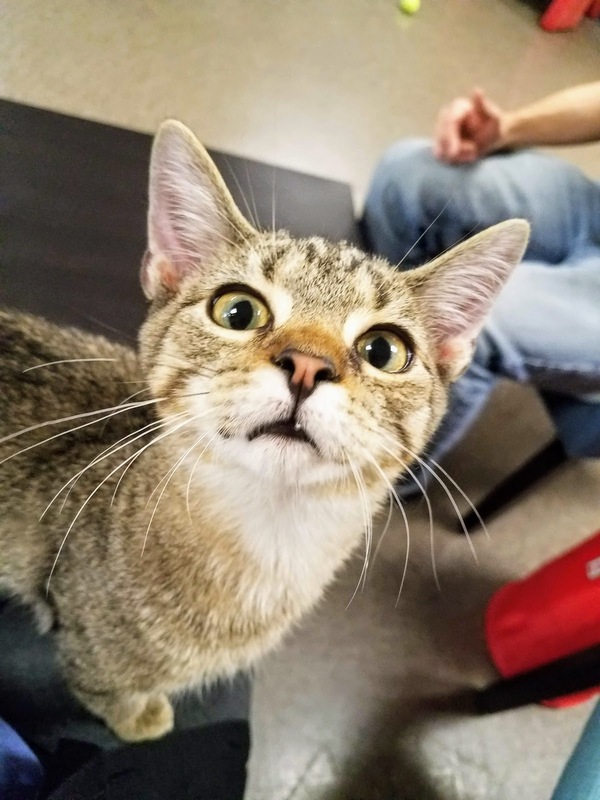 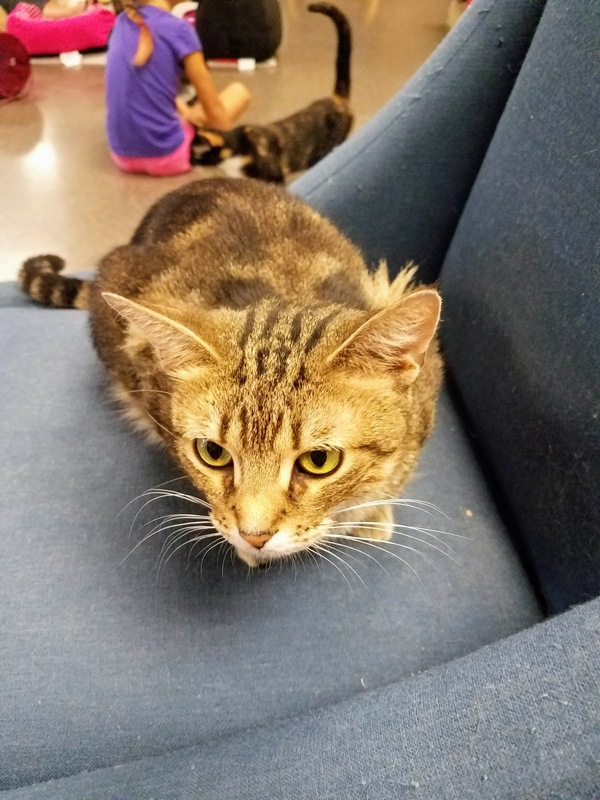 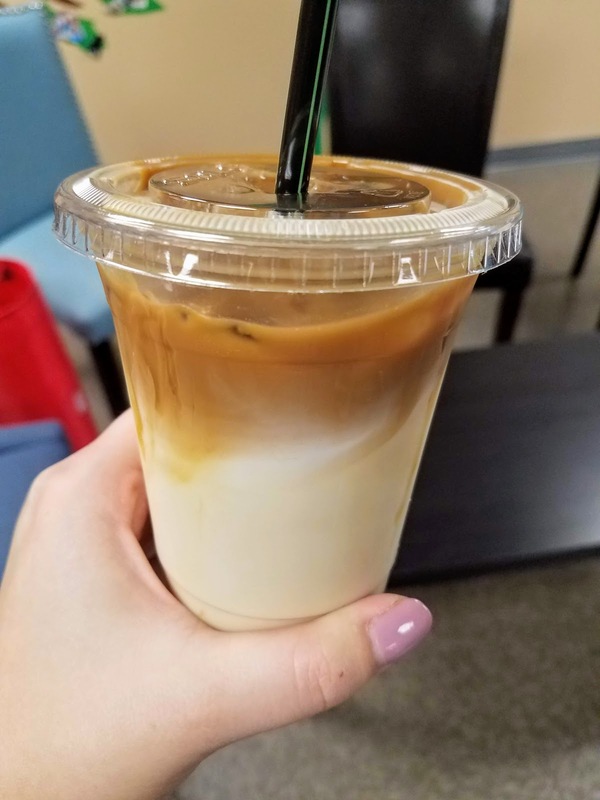 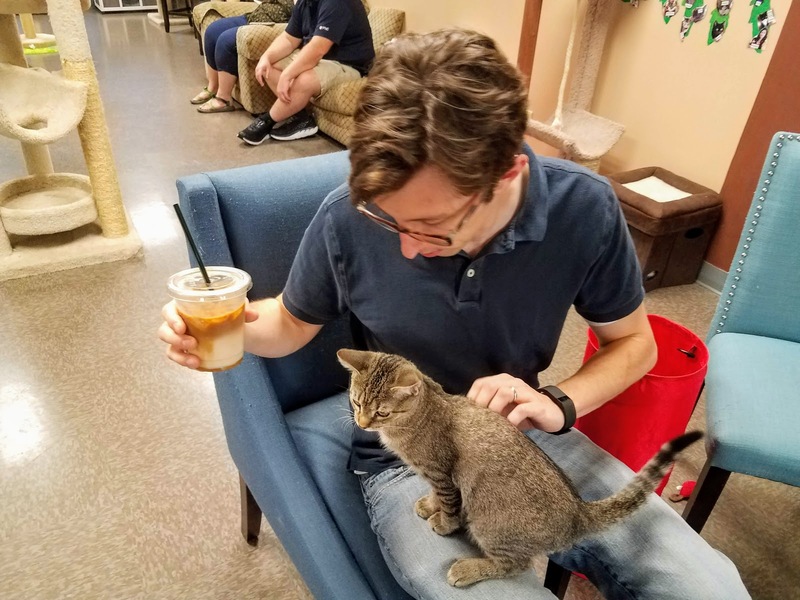 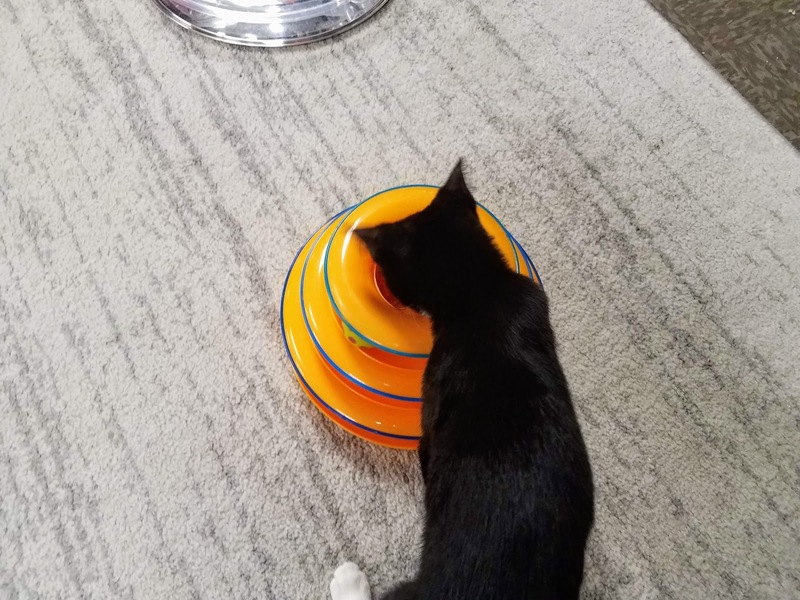 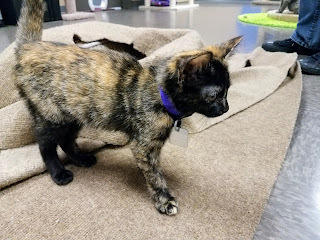 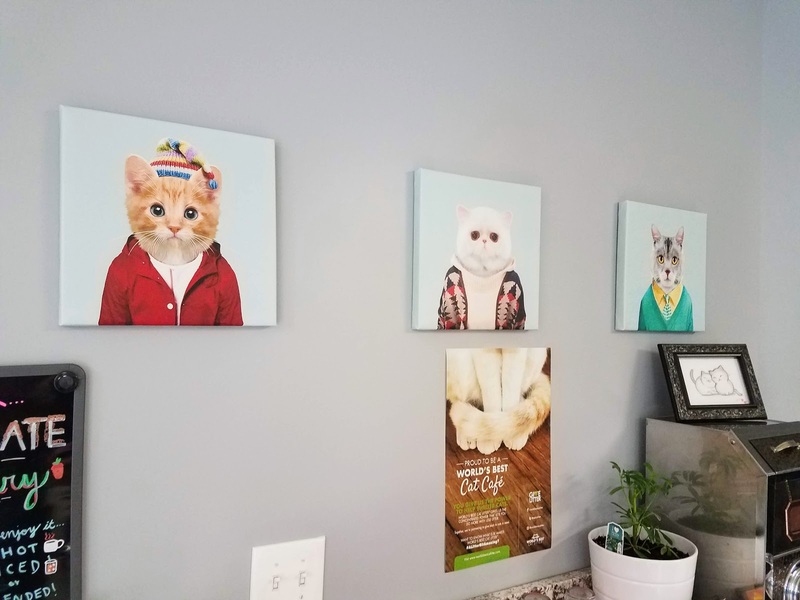 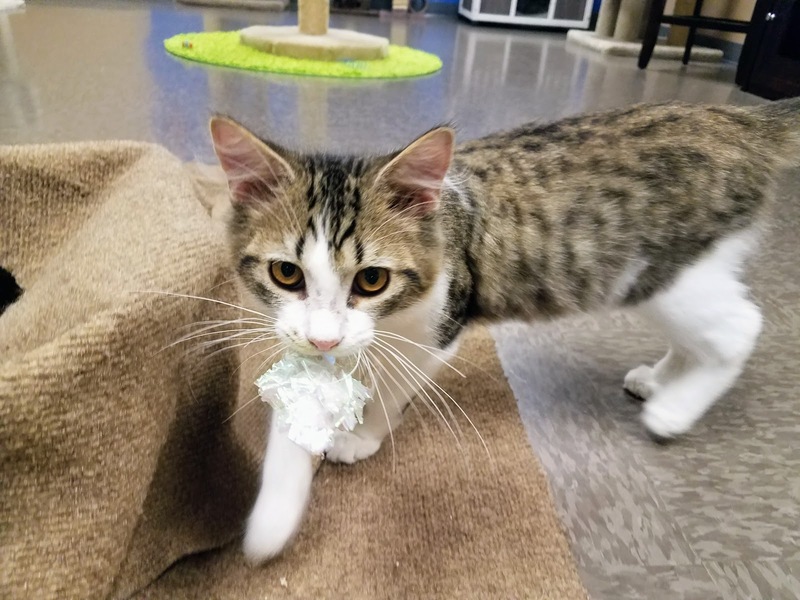 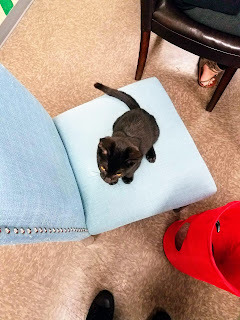 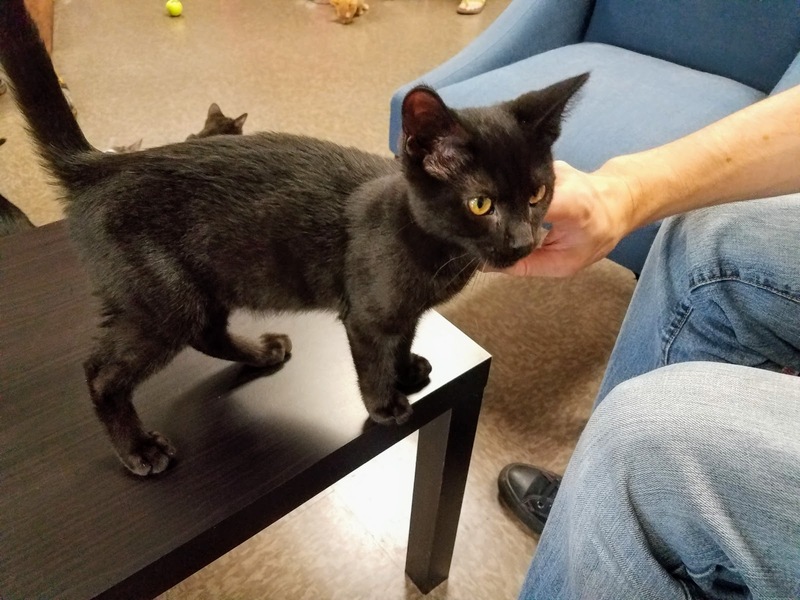 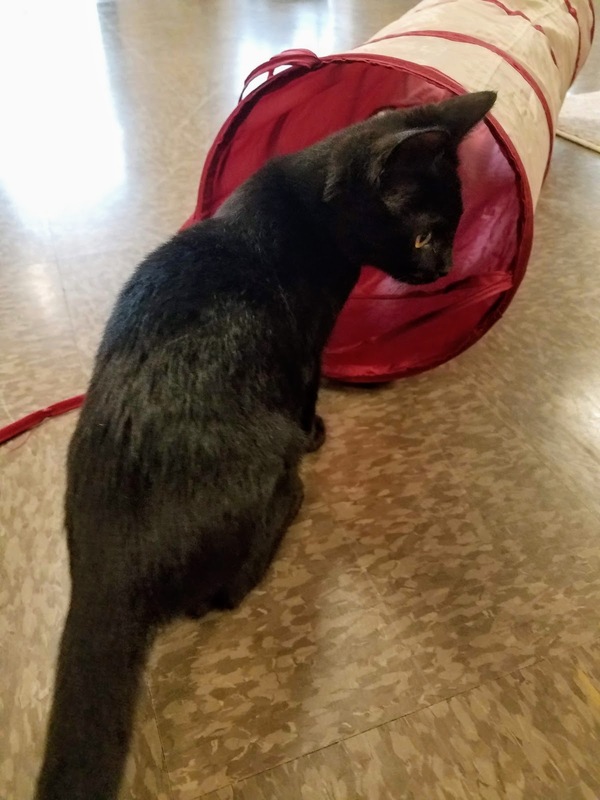 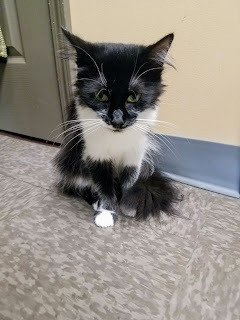 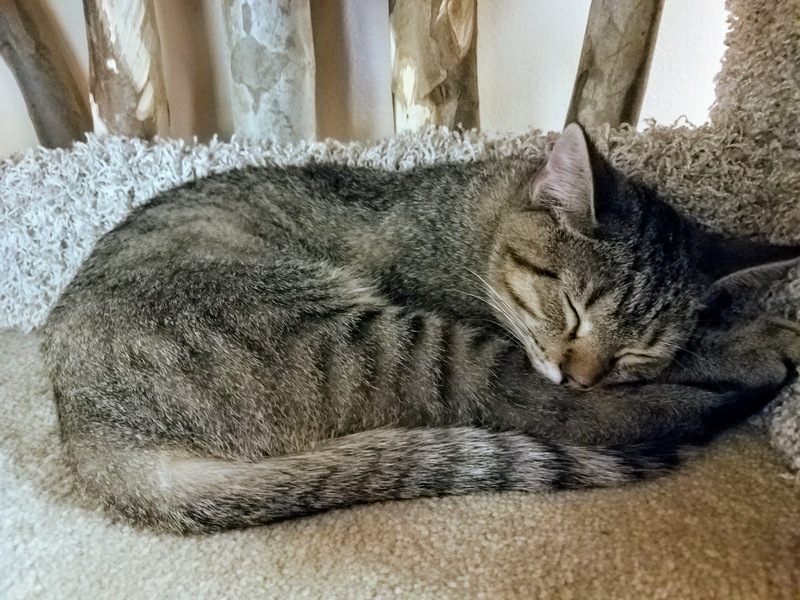 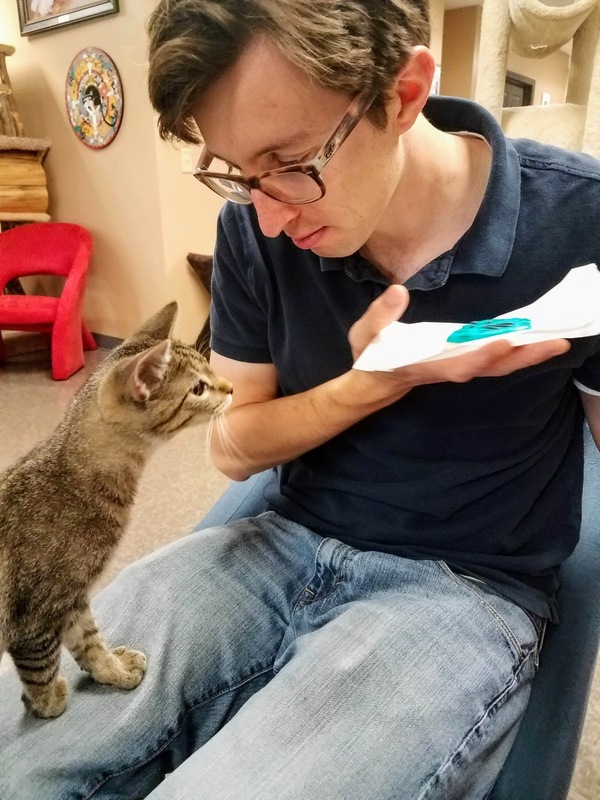 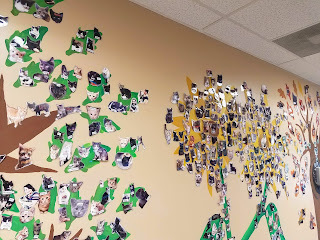 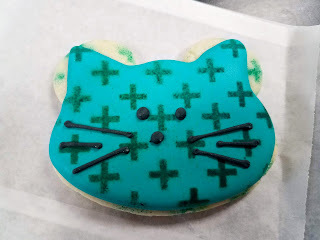 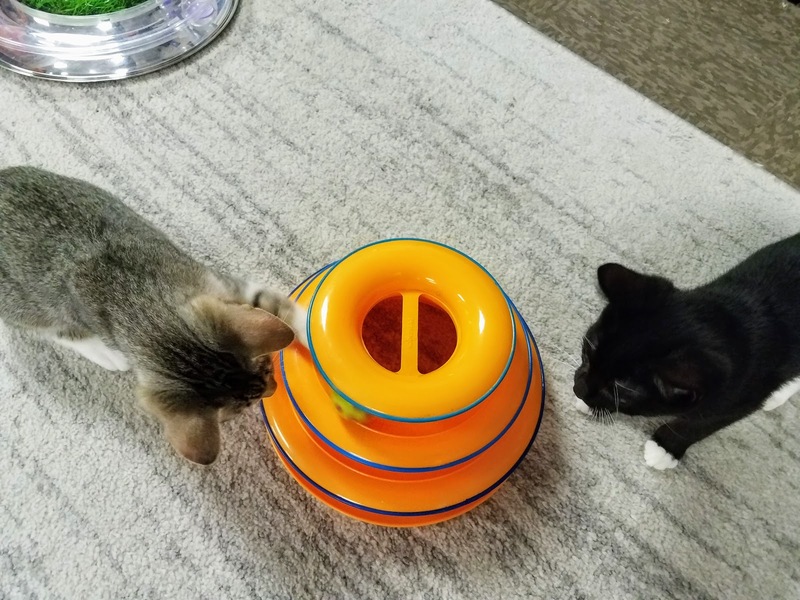 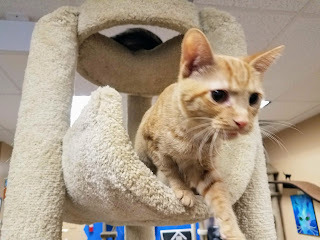 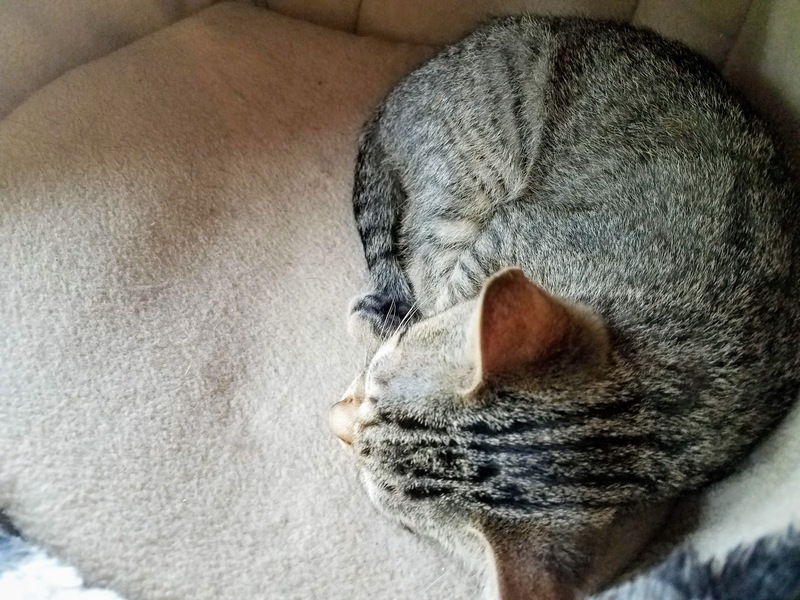 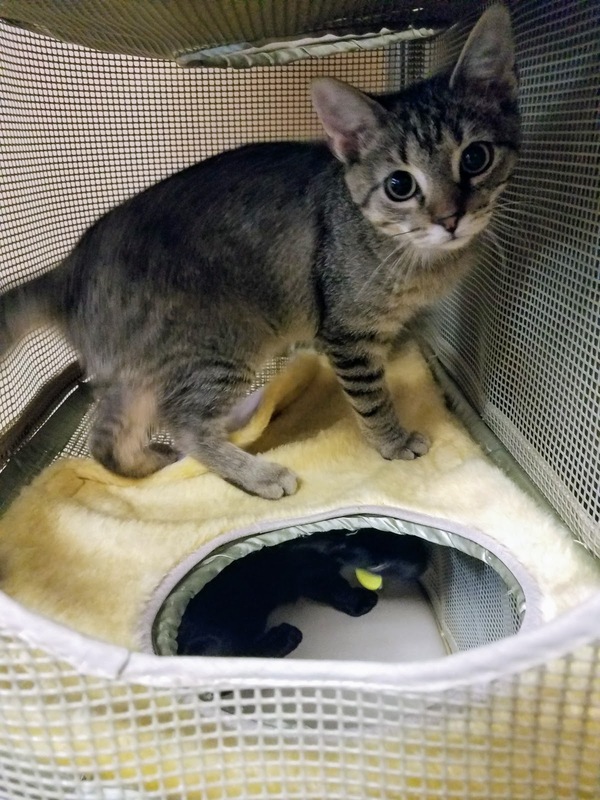 While we're looking forward to one opening in the Cleveland area, on our recent trip to Cincinnati, Dave wanted to find time to visit Kitty Brew Cat Café. 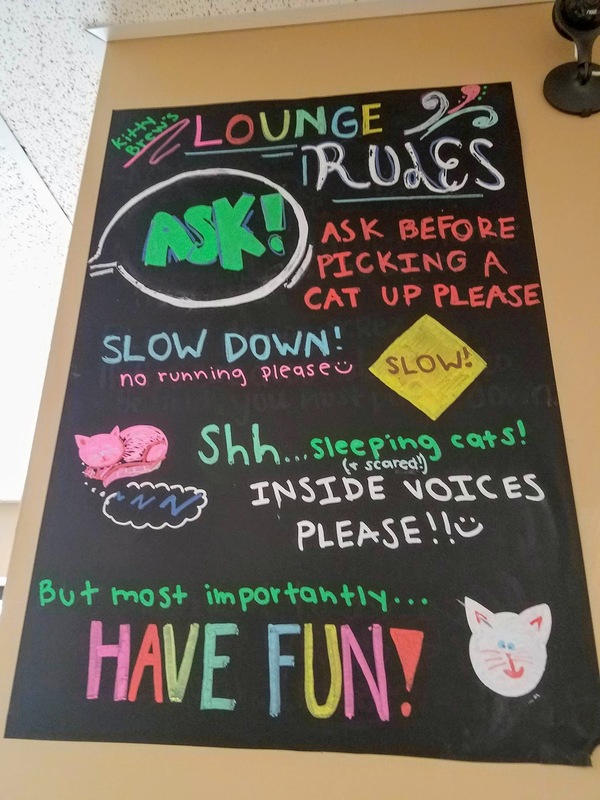 If you've never been to a cat cafe, it's a great way to spend some time. 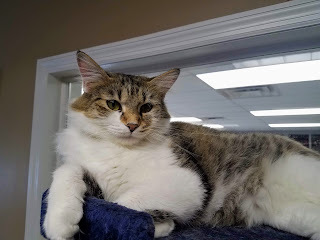 There is always a division between the food/drinks and the cats, in this case, it was a viewing window from the cafe into the cat lounge. Kitty Brew Cat Café had a large cafe area with plenty of options, although I wanted to get one of the specialty drinks, Dave wanted to keep is simple so we ordered an iced macchiato and a cookie. 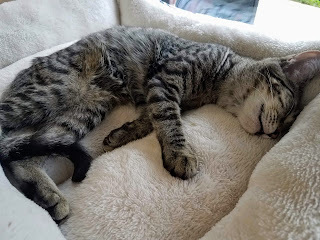 After we ordered we went next door to the lounge and our order was delivered to us when it was ready. As international cat cafe visitors we were really happy with the hour we spent at Kitty Brew Cat Café, the staff was knowledgeable, the coffee was good, and the cats were really excited to have visitors. There were a handful of other people in the lounge at the same time as us, but it was a spacious area and there were plenty of cats that wanted attention. The cafe area was also filling up when our hour in the cat lounge was over. The rules are always the same, essentially, play nice with the cats and don't let them eat your coffee/food. 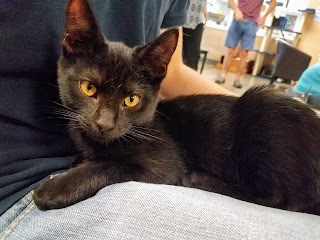 Every other cat cafe we've been to had mainly older cats, we were surprised how many kittens were at Kitty Brew Cat Café. 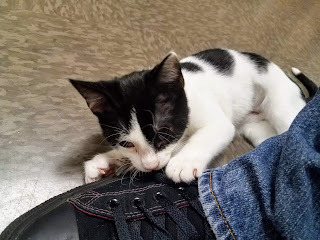 And since we tend to adopt "older" cats it was really fun to play with the kittens. 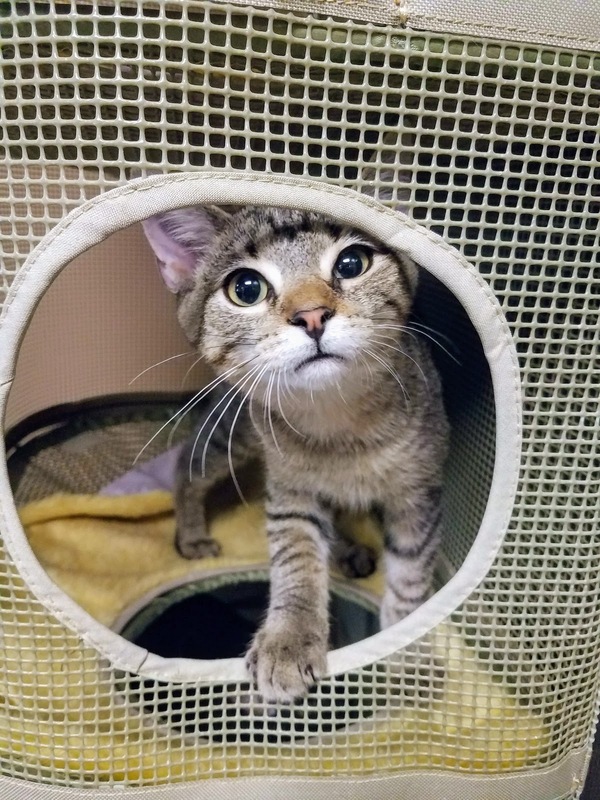 Almost all of the cats in Kitty Brew Cat Café are available for adoption unless they are a foster or otherwise spoken for (and the employees will be happy to point out which ones are available). 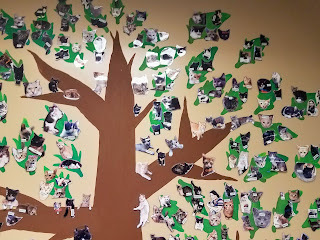 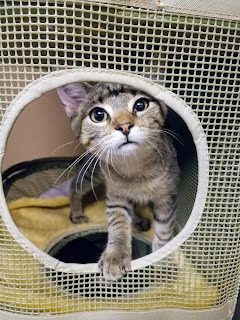 Kitty Brew Cat Café has helped 881 cats find their forever homes to date. This little one was very interested in our cookie/coffee and he thought we made for a great napping spot. 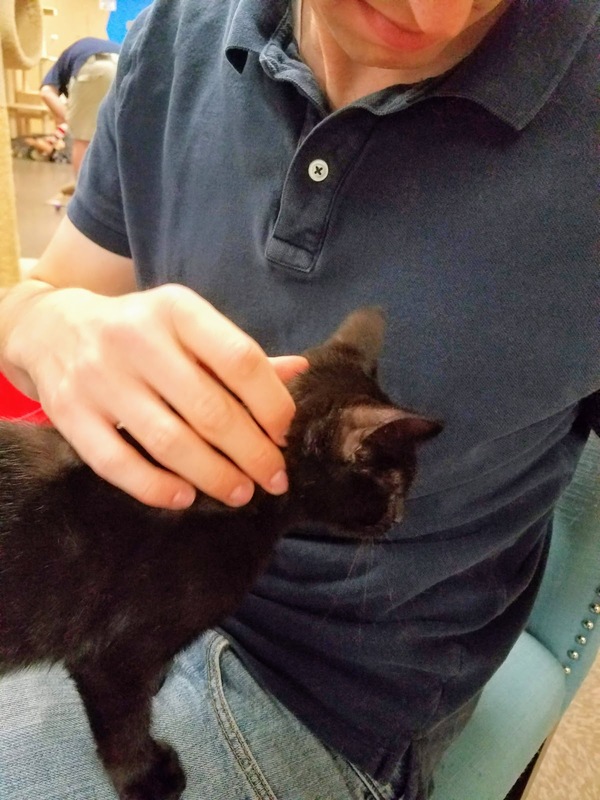 He also called his coffee loving friend over. After an hour we said our good-byes to many tired out kittens.